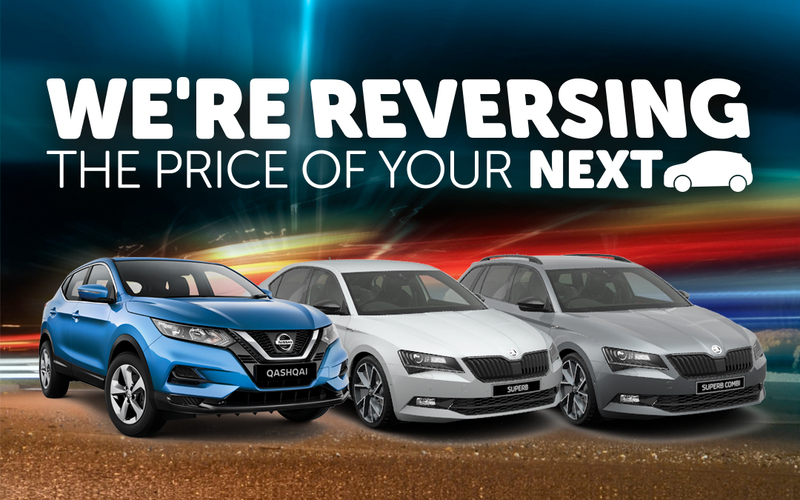 We’ve teamed up with Giltrap ŠKODA, Giltrap Nissan and Driven.co.nz for a very special GrabOne deal, and three lucky Kiwi motorists will be driving away in their next car for less. Starting on Monday 1st October, we’ll be launching three new vehicles on site. Each day at 9am, the prices will drop. You won’t know how much they’ll drop by, and you won’t know who else is keeping close eyes on the offers. As the prices drop by hundreds, or even thousands, the urge to grab the car of your choice will increase but, with only one of each vehicle available, only the first to hit buy will get them. The new Nissan QASHQAI combines stunning, sophisticated looks with a suite of intelligent technologies to make you more confident behind the wheel. With an aggressive and dynamic design, the new ŠKODA Superb Sportline sedan is a mid-class flagship that feels like a sports car. The perfection is in the details. In the new ŠKODA Superb wagon, aesthetics and functionality are in perfect harmony, allowing you to travel in style with simply superb space. Check grabone.co.nz each day at 9am from Monday 1st October to see the price drops! Finance offer available to approved applicants of Nissan Financial Services only and excludes all lease and some fleet purchasers. Units must be registered by 31st October 2018 to qualify for the special finance offer. The 1.9% Finance offer applies to new Nissan vehicles only. The 1.9% p.a. fixed interest rate is available with zero deposit and 36 month term. $375 establishment fee, $8.05 PPSR fee, and $10 monthly account keeping fee apply. Terms and conditions apply. Offer cannot be used in conjunction with any other offers and must end 31st October 2018 or while stocks last. Nissan reserves the right to vary, withdraw or extend this offer.